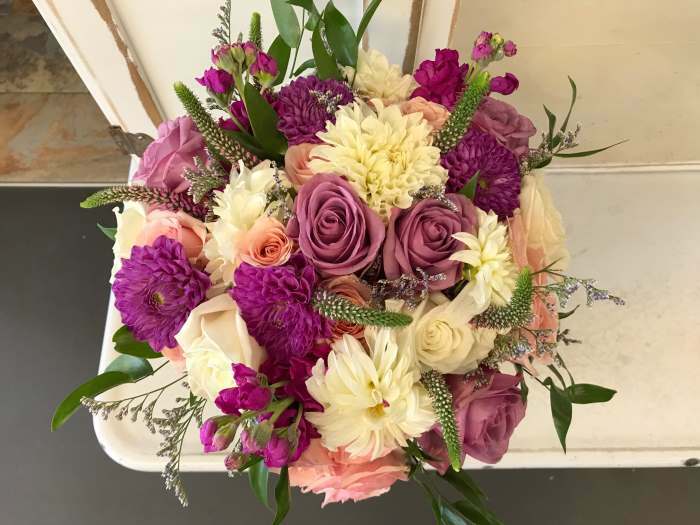 Over the summer, we got to create these gorgeous flowers for Kim and Nick for their special day. 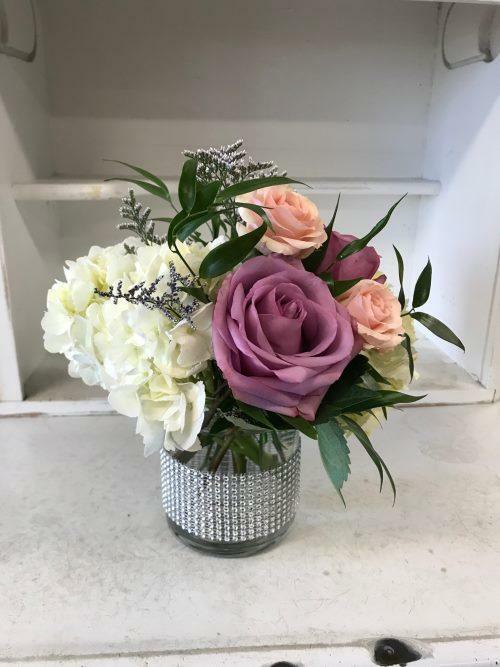 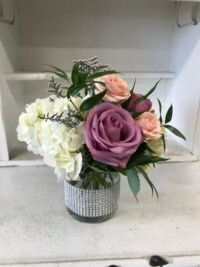 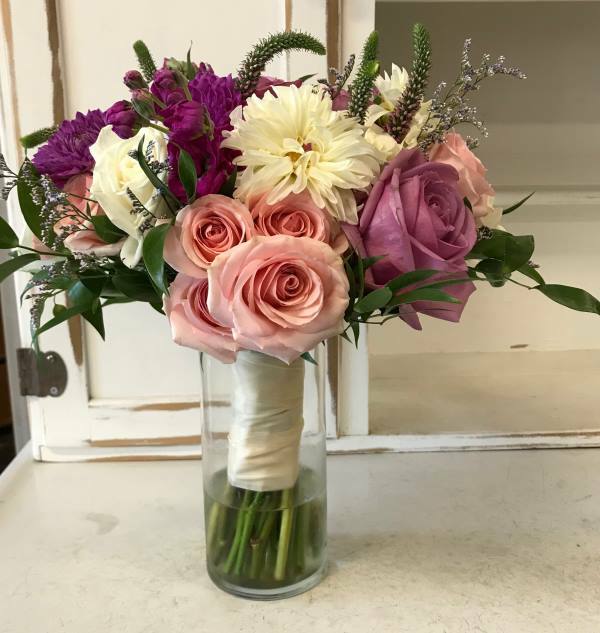 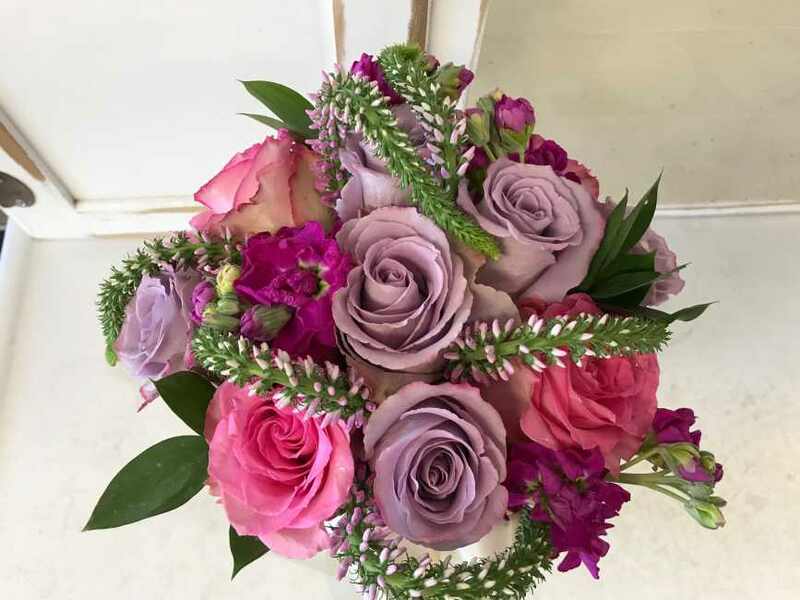 Kim’s flowers consisted of Hot Pink Stock, White Dahlias, Cool Water Roses, Pink Alstilbe, Lavender Zinia, and White Roses. 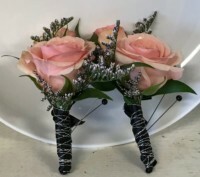 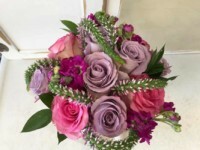 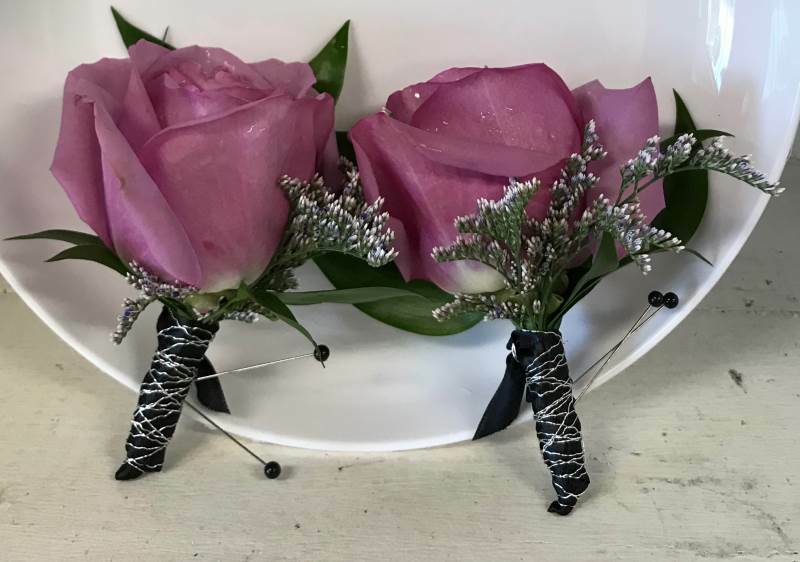 The pink and purple flowers really made the bouquets stand out.